What is the Relief Printing Process? Since the late 1500s, people have been creating different forms of printing; press, rotary, flexography and gravure are all standard methods in the printing industry. Each method has its advantages and drawbacks, just as each one is better for some types of publications than others. The method used depends on the print maker and the clients needs. Relief is just one of the processes that are used in the printing world. This process can be a part of both regular press or rotary press printing. It can also be a stand alone process for small publishing establishments. Again, it all depends on the maker and the items that need to be printed. The basic form of relief printing starts out with cutting. Various surfaces can be used such as wood, metal, rubber or a more flexible polymer. The surface is cut down so that the main image or text that will be printed has a raised effect. Any surface area that will not be part of the printing is cut away, much in the way a common rubber stamp is created. Early printing relied heavily on this method when it came to printing images. Wood cuttings were the standard form and an artist would meticulously recreate their work by cutting down wooden surfaces for paper printing. 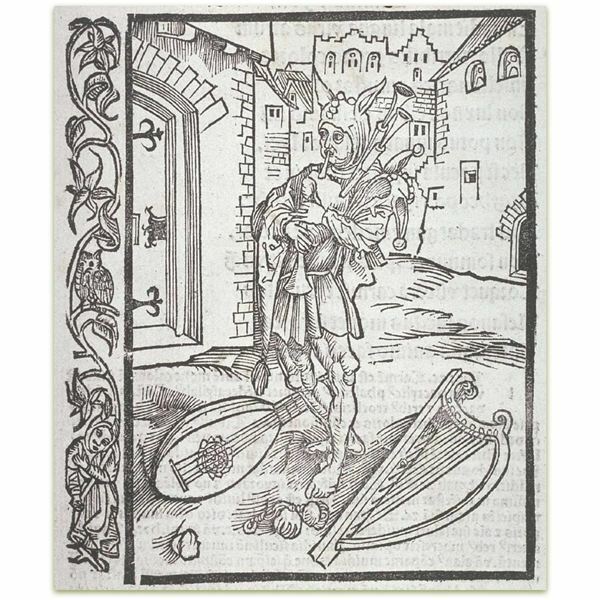 An excellent example of this can be seen in the image to the left which shows artist Albrecht Druer’s woodcutting set to paper in 1507, entitled Bagpipe Fool. When using wood or metal, the printing is normally done with a flat press, while using rubber or a newer type polymer as the cutting material are normally used with a rotary style press for faster production. Once the cut itself has been created, on whatever surface that is chosen for printing, the next step is to ink it. Printers take the ink and either cover the surface by a roller or they gently dip the raised surface into a shallow ink well; the way that the raised surface is inked depends on the printer. The choice of ink type is both dependent on the printer and the surface used for printing. Standard ink types are both etching inks and relief inks, both of which come in oil based or water based formulas. Water based inks are normally used for flat press, and oil used more for rotary style printing. The majority of prints developed from this method are in one color. Using one color is simple and less time consuming than printing one sheet with various colors. More than one color can be used though and to do that more than one cutting must be made. To have a printed image with various colors, one cutting surface needs to be created for each color. The artistic difficulty that comes about when printing this way is in the cuts themselves. Each surface must be cut in different ways to lay the colors on to the print. This means that to create a black and yellow bird print, one cutting must only have the dimensions of where black is to be printed while the other cutting can only have the dimensions of where the yellow will be printed. 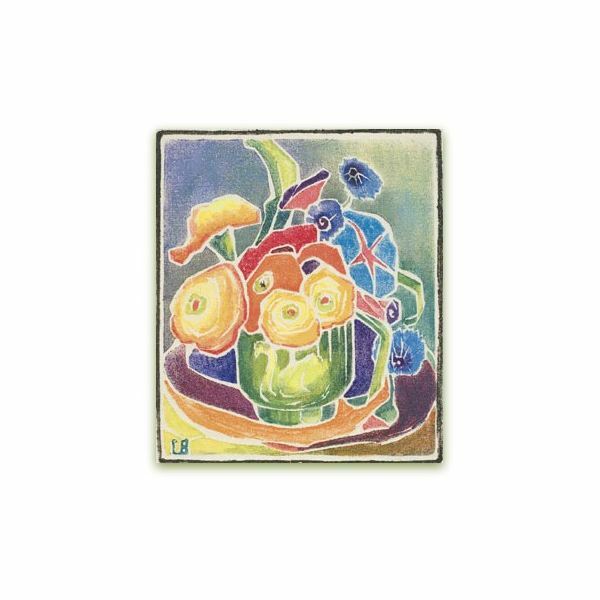 An example of a finished piece can be seen in the image at the left by artist Cora M. Boone, entitled Morning Glory from 1930. The relief printing process is still in use today even with the advent of faster digital printing. Some print makers and artists continue to develop the form as a printing skill. The full process itself can be time consuming, even with one color, but the challenge for multi-color printing can yield beautiful results. One way in which to think of relief use is in stamps. Stamping for scrapbooks, letters and home decoration has risen in popularity over the years and all of them are a form of relief printing. Larger scale works have garnered a wide following among artists such as Stephen Alcorn. 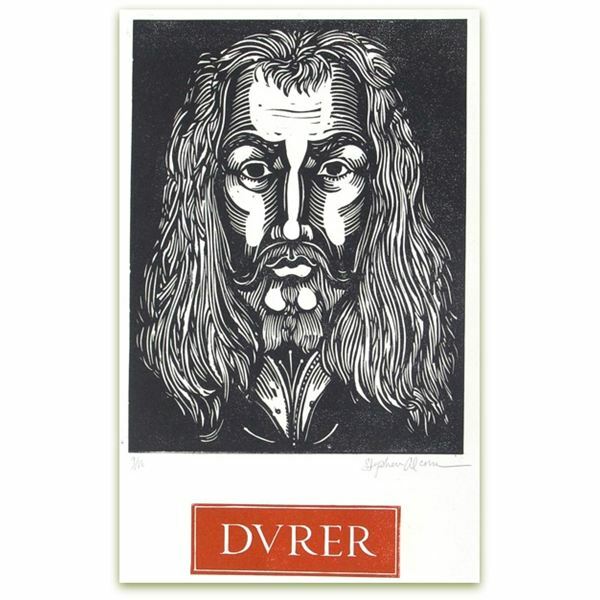 Mr. Alcorn has worked with the relief method to create intricate cuts as in the example seen at the left, entitled Durer.